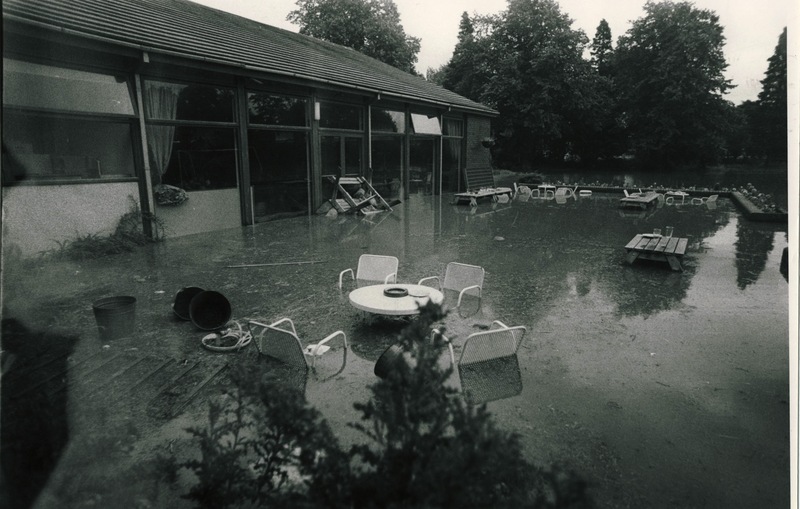 The BBC Club at Pebble Mill was badly flooded in 1987 when a massive water pipe ruptured somewhere nearby. Very quickly the terrace where staff had been drinking and eating was underwater, followed by the little car park at the front of the building, and then the building itself. The Club was out of action for several months whilst the building dried out and was repaired and redecorated. Thanks to Gail Herbert, Chair of the BBC Club for many years, for making the photos available. Please add a comment if you remember the flood at the Club.